Farvel, Copenhagen! Until next time. The last 2 Sessions with DIS have been amazing. I have experienced more in the past six weeks than I ever have in a six week period of time before in my entire life. Truthfully, I didn’t fully know what I was getting myself into before I came to Copenhagen. 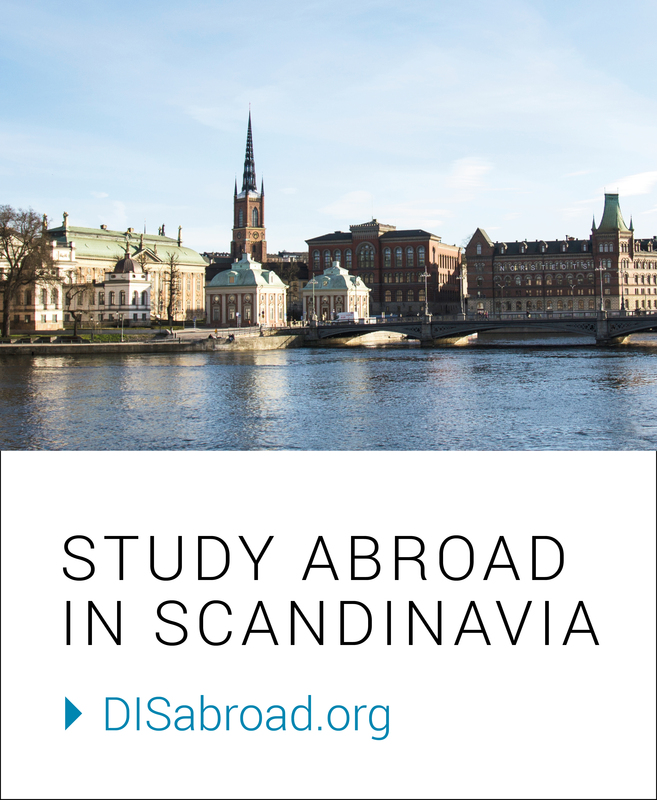 I had heard about study abroad from my friends and DIS provided me with plenty of information about the trip, but I still was not sure if I was ready. I had never been to Europe before this trip. I remember that I started to get a bit nervous for a couple of days before Session 1 began. It is impossible to know exactly what studying abroad is like until you actually experience it. I feel like it is a bit cliché for a college student to go on a trip to Europe over the summer and say “studying abroad changed my life,” but honestly, that is exactly what happened. My trip to Copenhagen was a monumental experience in my life and that is no exaggeration. It now feels like my entire college experience can be broken into two halves: before I studied abroad and after. I will miss you, smørrebrød. I went to Europe for the first time and immersed myself in a completely different culture. Studying abroad isn’t always comfortable. In the beginning, I felt like a child again and that my brain was a sponge just trying to soak up all the new information around myself. Eventually, though, my mind and body naturally became accustomed to my new environment. I would say that by the end of the first Session, I had begun to feel truly acclimated to Copenhagen. For all of Session 2, Copenhagen really felt like home due to how comfortable I had gotten there. I remember returning from my Study Tour in Barcelona and feeling like I had returned home when I got back to Copenhagen. The most shocking thing is the number of experiences that I had in six weeks. It felt like I had a year’s worth of valuable experiences during the two Sessions of DIS that I was in. I saw fireworks at Tivoli on a Saturday night, visited Kronborg Castle, found The Six Forgotten giants of Denmark, went on a boat off the coast of Spain, and much more. I am glad I did these blogs because sometimes it is hard to keep track of all of the incredible things I experienced while abroad. It is important to note that I did not always feel comfortable while studying abroad. Sometimes I felt out of my element, and other times I felt frustrated. For example, I got strep throat during Session 1 and I was pretty stressed out about being sick while on a completely different continent. I reminded myself that the problems I had were temporary and not to let them put a damper on my trip. Also, I was thankful to be with a program like DIS that I knew would provide me with any support I needed while in Copenhagen. I can’t forget about the people I met on this trip, including both Danes and other American students. Possibly the most valuable thing about this trip was the connections that I made along the way. I became particularly close with the other DIS students that lived in my housing. One of my main takeaways from this trip will be those people that I met along the way and hopefully, I will be able to keep in touch with them for years to come. Some of the great people that I met along the way from my Food and Identity class. Studying abroad with DIS in Copenhagen for six weeks was the most unforgettable period of my life. I learned a lot from my classes, visited stunning places, met great people, and had a good time along the way. I gained confidence throughout the trip and now feel like traveling all around the world is not a ridiculous goal to have. The world feels smaller and all the places I have not been to feel much more accessible. I will forever be thankful for the experiences that DIS provided me with, and I am even more thankful that I was able to document them here and share them with people on this blog. Also, I nearly guarantee that I will step foot in Copenhagen again someday. I already miss it. Skål!